These are the most essential steps you need to perform to be able to use Reply and get the most of it for your email outreach campaigns. Step 1. Connect your email. This is a mandatory step that you cannot skip. Reply will use your email account to send emails to your prospects. Connecting your Gmail account is the easiest way to start. All you need is to select the account you want to connect from the list of your Gmail accounts and the system does the rest. 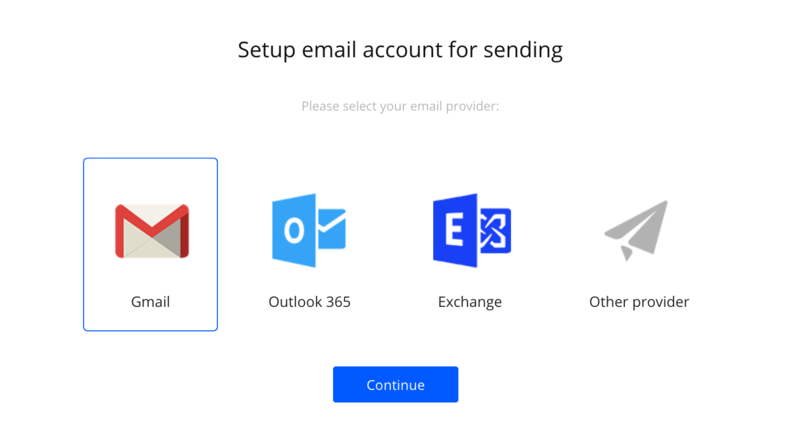 We have a detailed guide on how to connect other types of email accounts. Follow this link to see it. Step 2. Load contacts, perform email validation. If you already have a CSV file with the list of your contacts, you can upload it to Reply. To do this, open the People page of the Reply interface, click the Add icon and select Import from CSV. For more information about importing contacts from the CSV file, see the following article. You can create contacts manually. This way is good when you want to add a few contacts to the system. To do this, open the People page of the Reply interface, click the Add icon and select Create manually. Step 3. Create and set up campaign. Add email body. Follow this section to learn more about using templates and variables. Add schedule. Follow this article to learn more about schedules. Add people. Follow this section to learn more about working with contacts. Step 4. Set up integration with the CRM system. If you have an account in a CRM system, you can set up integration between Reply and your CRM account. Reply offers both native integrations and via Zapier. To see the complete list of integrations, see the following page. To see the existing integrations guides, see the Integrations section of Reply support. Send a direct email to the contact. Call the contact. For more information, see the Calls section of Reply support. Push the contact to another campaign. 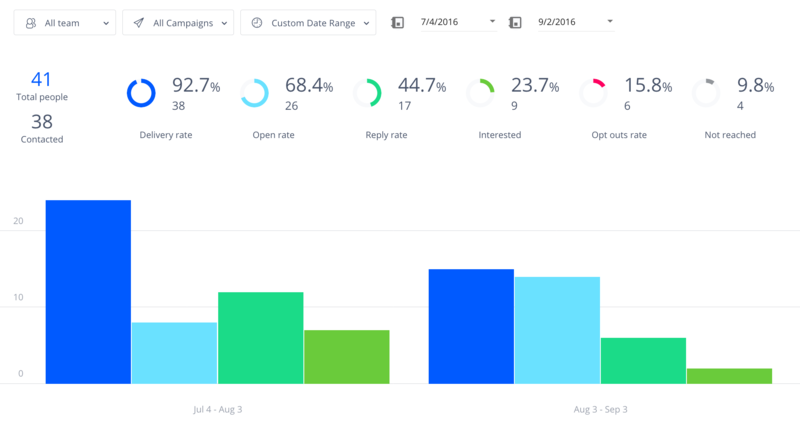 Check the performance of your campaigns by using the Reports page of the Reply interface. This page lets you see the statistics by any team member of your team, by any campaign or date range. Alternatively, you can access the analytics from the campaign page. For more information about using the analytics, see the Analytics section.